Knowing the difference between sore throat causes can help you determine whether or not you need to see a doctor. Although both a regular sore throat and strep throat can share similar symptoms, strep is more serious and requires immediate medical attention. Strep is caused by a bacterial infection and requires treatment with antibiotics. If you suspect that you’re dealing with a case of strep throat, a visit to a local urgent care center for a strep test can confirm the diagnosis quickly. Most sore throats are caused by viral infections and can be treated at home with simple remedies. Gargling with warm salt water several times a day can soothe throat pain, as can sipping warm tea with honey. Chamomile and other herbal teas may have anti-inflammatory properties to help relieve swelling. Over-the-counter painkillers, throat sprays and throat lozenges also reduce pain and inflammation to help you get the rest necessary to recover from the infection. If this sore throat treatment doesn’t work and your conditions persist or worsens, it’s time to see a doctor. 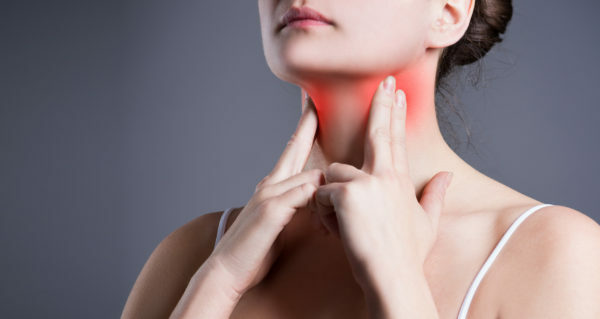 Symptoms such as pain that moves to the ear, difficulty swallowing, trouble breathing or the development of a rash may indicate other potentially serious conditions and should also be checked by a medical professional.